Receive a FREE Tabletop or Café dispenser with every Tork Xpressnap carton purchased. 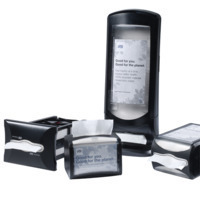 Tork Xpressnap napkin dispensers ensure your customers take only one napkin at a time reducing use and waste. Hurry, Bidvest offer ends 31 October, 2016.